Jesus Christ said, “Do not be anxious about your life.” Martin Luther said, “Pray and let God worry.” The French writer Victor Hugo said, “Go to sleep in peace. God is awake!” Yet it does not seem to matter who tells us not to worry; we do worry, so long as we live on this earth. 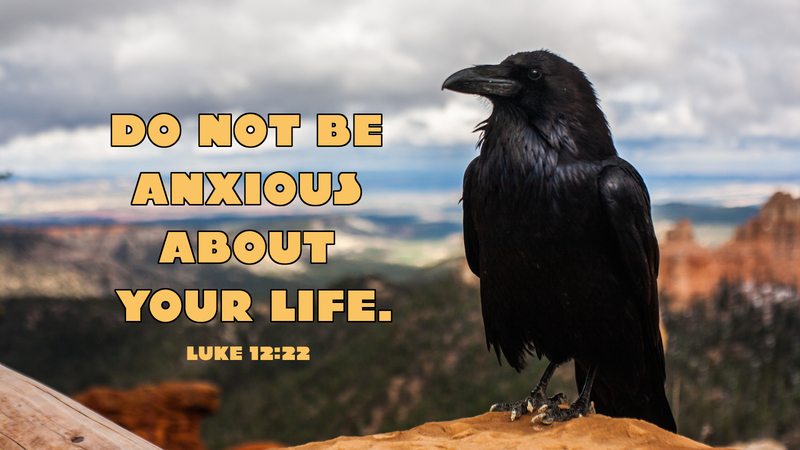 We learn to deal with anxieties by remembering that our Father cares for us. When we focus on the right things, matters of the kingdom, we are able—for a while—to live without as much anxiety. Scripture teaches us and trains us in the ways of righteousness. So, while we may not escape from worry altogether, we know who to trust and turn to when life presses in. The day is coming when all of creation will be remade the way God intended. When those new heavens and new earth are created, perhaps we will no longer wring our hands, since former things will no longer be remembered. In the meanwhile, we can be at perfect peace even when life gets alarming. For God is awake; and he cares for us. Prayer: We give thanks for your wakeful presence, Father, and for the peace of Jesus Christ our Lord. Amen. Today’s devotion was written by Mark Ryman, Communications Coordinator for the NALC, and Pastor of Grace Lutheran Church, Advance, NC. • Archives of NALC Devotions • Original image • Click any of our Scripture graphics to enlarge and save for use in bulletins, newsletters, blogs, and websites.